In the race for attorney general, incumbent Andy Beshear is running for governor. That leaves an open seat. On the Democratic side, former attorney general Greg Stumbo is the only candidate to file. 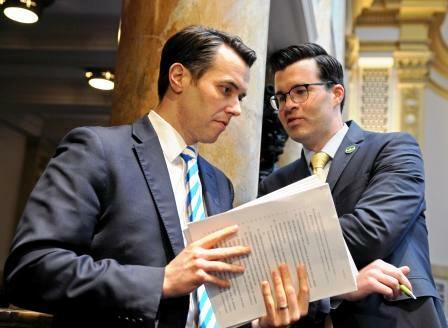 Shown below, Senator Schroder on right with Senator McGarvey during the 2019 General Assembly session.